When an abnormality of the nervous system triggers changes in continence, micturition, or urinary symptoms, the term “neurogenic bladder” is used. The urinary bladder and its outlet are unique among viscera because of their complex interplay of visceral and somatic systems in regulating the lower urinary tract (LUT) and the ability of emotions to affect visceral function. As might be expected, the neural regulation of the lower urinary tract differs from other organ systems in that these structures, although innervated by the autonomic nervous system, are under voluntary control. This duality of autonomic and somatic innervation is suited for switching from involuntary urine storage to voluntary elimination. 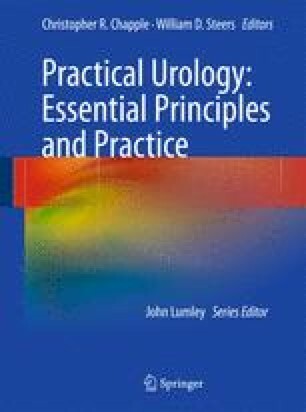 This chapter provides a brief overview of the organization of the neural pathways and central sites influencing micturition and continence, catalogs those disorders linked to neurogenic bladder and pathology, and briefly outlines how neurogenic bladder disorders can be diagnosed and treated.